Law Office of Natasha P. Johnson, P.A. Jacqueline Astacio/ Legal Assistant Jacqueline, a native of New York City, has been working in the law field since February 2002, when she began working as a legal secretary for a personal injury law firm, Kanterman & Taub, P.C. She also worked for Eagle & Fein, P.C. as a legal receptionist. She later transitioned to personal injury law firm Macaluso & Fafinski, PC. as a legal receptionist. While working for Macaluso & Fafinski, Jacqueline was promoted to paralegal in 2007. Ms. Astacio moved to Florida in 2011 and began working for personal injury law firm Whittel & Melton, LLC in Springhill, Florida as a legal assistant. Jacqueline recently moved to Kissimmee, Florida and the Law Office of Natasha P. Johnson is happy to have her. Jacqueline is fluent in Spanish. Demetrice Vassar/ Bookkeeper Demetrice, a Memphis native, is the billing and bookkeeping clerk for our office. She has been an administrative assistant for over 30 years working for employers such as the Internal Revenue Service and Federal Express. Ms. Vassar made a recent transition into accounting in 2006. Ms. Vassar and has been involved in the legal profession since 2009 as an Office Manager. In 2010, she formed Demetrice, LLC, which provides office support to professionals. 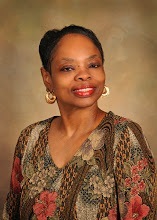 Ms. Vassar currently maintains all of the records and bookkeeping for the Law Office of Natasha P. Johnson.